I know a few people who read this blog have wondered why TBM hasn’t emerged yet. I made a decision to work intensely for the first two weeks of July because a great event was on the horizon. The formal name is EAA Airventure Oshkosh 2015, but everyone just calls it “Oshkosh” and it’s the greatest aviation event in the world. That’s no exaggeration. 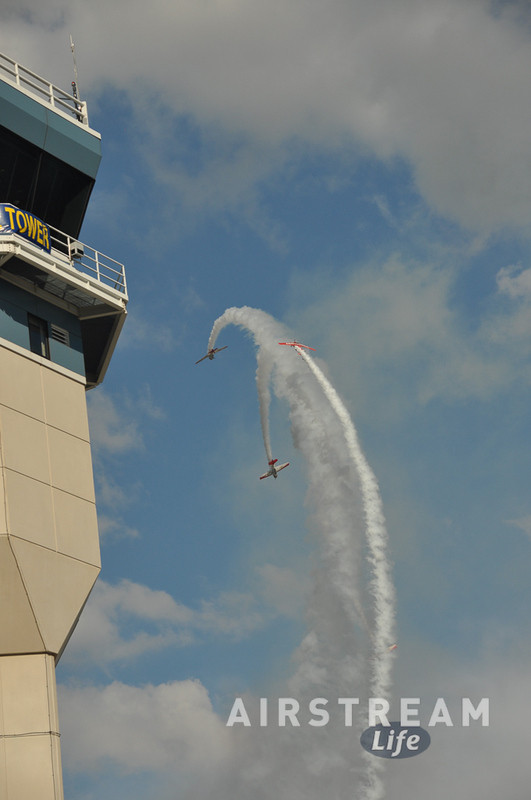 You can mention “Oshkosh” to any pilot around the world and they’ll immediately know you are talking about this event. 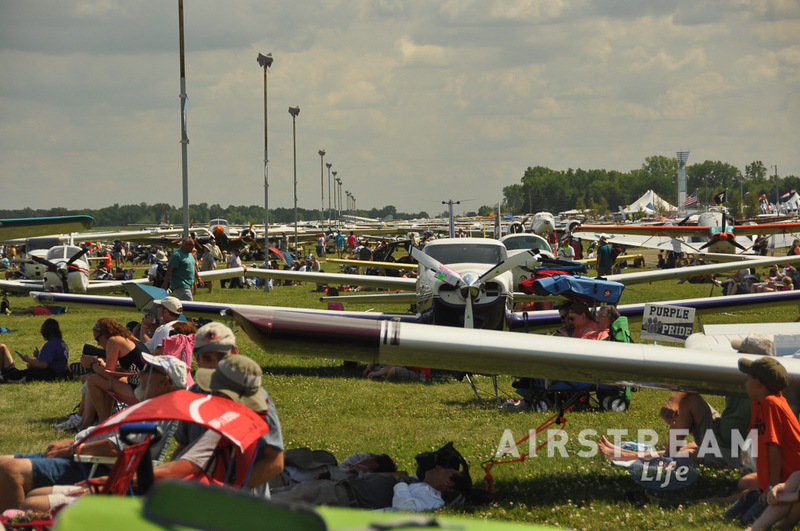 About half a million people come to visit from 70 countries, and something like 8,000 airplanes fly in for the event, making the otherwise average airport at Oshkosh the busiest airport in the world. I flew into OSH back in 1996 with Steve and Eric (the same guys who now are my companions on motorcycle trips in the summer), in the family Piper Arrow. It was quite an adventure flying in from the east through thunderstorms, and then camping next to the plane in tents for a few days, something I’ll always remember. Back then we were active members of the Experimental Aircraft Association (EAA) and so every days we’d run into fellow pilots and friends who were building their own planes, or with who we’d had many a pancake breakfast in a cold airplane hangar over the winter. Earlier this year Brett and I found a business reason to come to Oshkosh again, so Brett stashed his motorhome in Milwaukee after Alumapalooza 7 (in early June) to await our return in July. He flew in a day before me to get the motorhome ready (fridge cooled, stocked with food, fresh water tank filled, etc), and then I walked out of the General Mitchell Airport and found him waiting in the short term parking lot with an ice chest filled with refreshments. That’s a very nice way to be received after a flight, kind of like being met by a limo, and I highly recommend it. Wisconsin is a great place to visit in the summer. It has a lot in common with my home state of Vermont, with better weather. I like the green rolling hills of corn, the out-of-the-way restaurants with German names, the obsession with cheese, and the oh-so-friendly almost Canadian attitude and accent of the locals. Lots of uncrowded spaces, really good custard everywhere … and did I mention a mind-blowing annual aviation event? 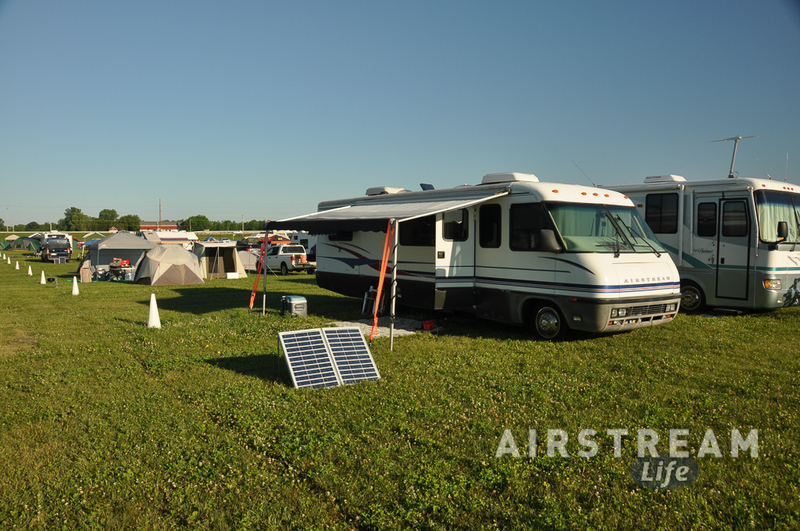 For someone deeply engaged in the Airstream world, Oshkosh offers a substantial side benefit: it’s also one of the biggest RV gatherings in the world. Nobody seems to make a big deal out of that, I guess because the RVs don’t fly and are thus much less interesting to the OSH crowd. But for me it was a strangely thrilling moment to pull up to a few hundred acres of mowed grass and see a thousand or more recreational vehicles all parked together in a giant ad hoc community. If you miss the old days of the really big rallies, this is one of the places you can still find the experience, and under my idea of ideal conditions too: grass, no hookups on most of the field, lots of smiling people, and few rules. Of course “no hookups” meant boondocking all week. Brett’s motorhome had just 50 gallons of water on board, but we are both experienced boondockers and so it wasn’t really a problem to make it last. For $30 we could have had the water refilled but it became a point of pride not to need that service so we executed our very best “Navy shower” technique every day. Brett rigged up 100 watts of portable solar panels to keep the battery charged, and two or three times a day we’d turn the panels to face the sun to optimize power generation. We managed seven days and we still had some water and full batteries on the day we left. Yes, for those of you who have never tried boondocking, it can be done. There were a few Airstreams scattered around the field, but not as many as I’d hoped for. Perhaps someday we’ll organize a gathering at OSH. I know there are a lot of pilots and ex-pilots in the community. 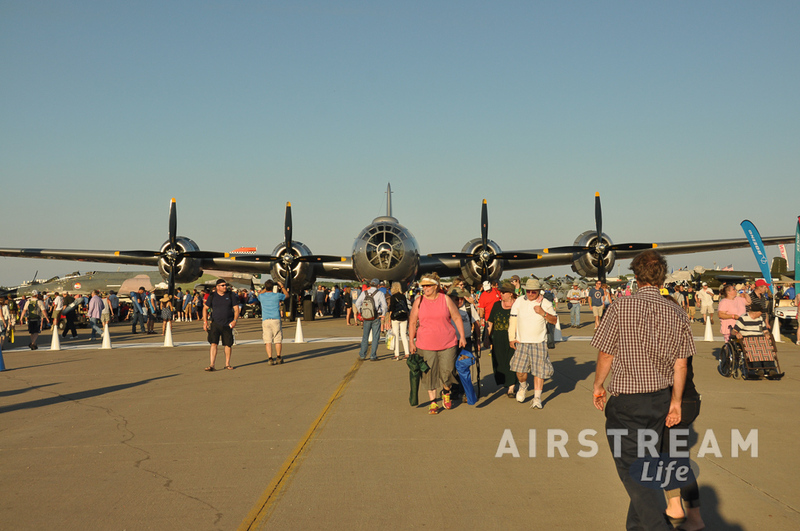 Airventure is huge and features everything that flies. We saw seaplanes & amphibs, ultralights, warbirds, current military jets including the remarkable F-22, the Goodyear blimp, helicopters, gyrocopters, vintage aircraft, homebuilt, passenger jetliners, executive jets, drones flying in a dedicated UAV demo cage, powered parachutes, and gliders. There were hundreds of vendors, dozens of workshops and demonstrations, amazing airshows daily, and so much more that I can’t do justice to it here. Two days are barely enough to scratch the surface; after seven days we still had things on our list to do. So perhaps it’s just as well that our original plan didn’t work out. Instead of working the show on one particular project as we had expected, we had time to explore for new opportunities—and found them. We ran into Airstream friends from both coasts and spent time with them. We found new products that might make the cut for the Airstream Life Store. We had time to talk about the next Alumafandango, which will be in northern California in September 2016. After a few days we fell into a routine that started around 6:30 a.m., once the sun was pounding at the windows too loudly to ignore. We’d slather on the sunscreen and walk to the bus stop to catch one of the school buses that served Camp Scholler. We’d roam the exhibitions, checking out the aircraft of our fantasies (a HondaJet or perhaps a Velocity homebuilt) or talking to vendors about their products. 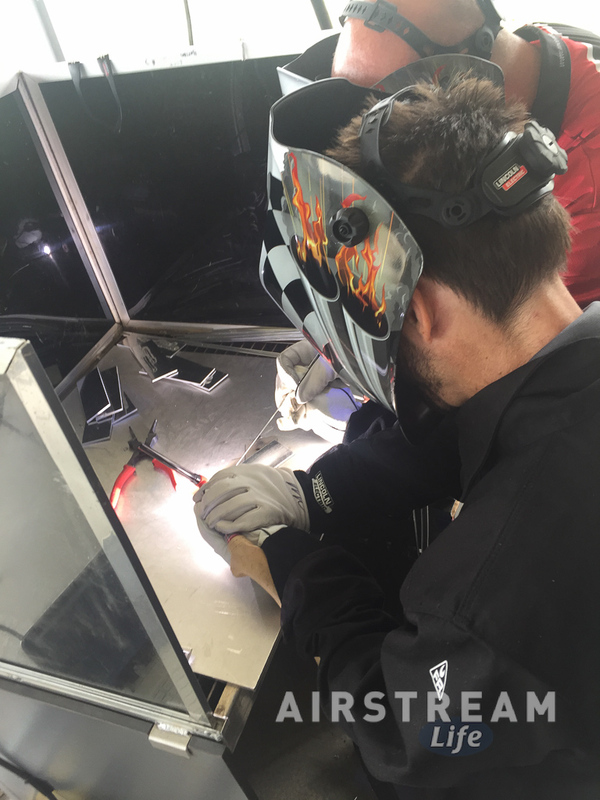 One morning we took a free workshop and tried our hands at TIG welding. Around noon we’d head back to the motorhome for lunch and an afternoon of watching helicopters fly overhead. At 6:30 p.m., the ultralights would take over, buzzing directly over us in the traffic pattern. You can’t go to Oshkosh for quiet. 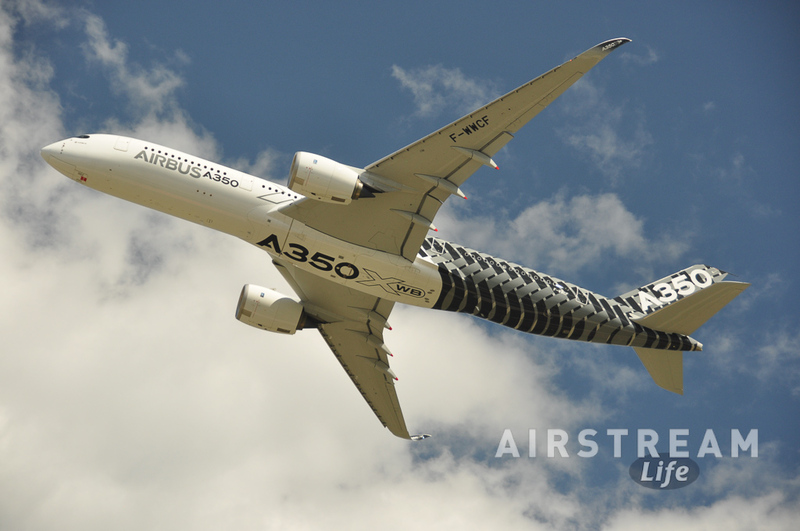 You have to love the sound of aircraft because there’s rarely a daylight moment without something roaring, buzzing, screaming, or pounding overhead—from drones to the new Airbus A350 xWB. I happen to enjoy sunny days with the awning out, parked in a grassy field, with a warm breeze and the sound of flying machines, so I took the opportunity to make the helicopter periods my siesta. Very relaxing. There are a lot of “only at Oshkosh” moments. For example, only at Oshkosh would you find yourself picnicking under the nose cone of a B-52 while listening to Gary Sinise & The Lt Dan Band. Only at Oshkosh will you get to try your hand at welding and then flying a drone helicopter in the same day, and think that it’s nothing unusual. It’s the kind of event that people cherish so much that they have been coming for decades, and pass the tradition to their children. We got some great ideas for next year’s Alumapalooza while we were here. We had already planned to make a full day of music during next year’s program. Now we are thinking of developing another full day of hands-on workshops, where participants will be able to actually try basic repair and maintenance techniques using their own hands and tools we supply. Very different from prior Alumapaloozas, but I think it will be a lot of fun, especially with some contests and prizes. So it turned out to be one of the better business trips Brett and I have had, and a great TBM activity too. I highly recommend a week of Oshkosh for anyone with an RV. Maybe I’ll see you there in a future year? 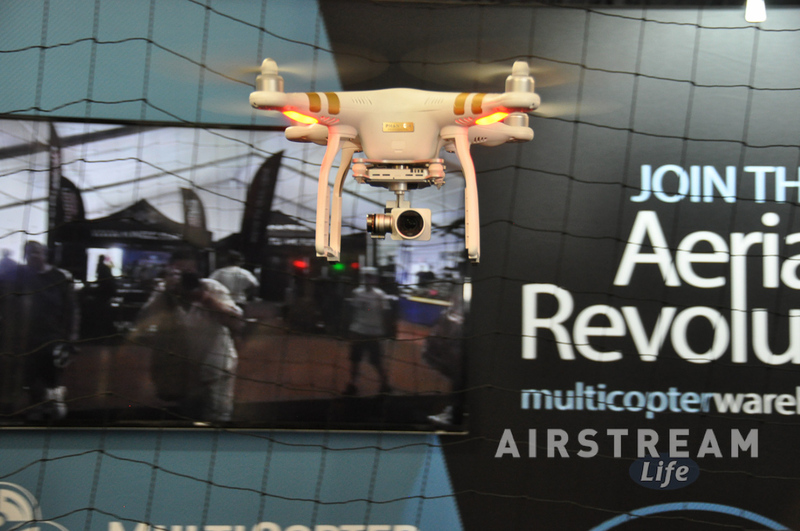 Gazing into the crystal ball, will the next alumapalooza have an Airstream Life® drone equipped with a GoPro® hovering over Jackson Center……piloted by videographer Emma Luhr ? Wish I’d known you were there…had my 31′ in camp..see over 20 Airstream every year and had 4 in my immediate area…20 year vet of the Oshkosh big show.